Rickey is 24-years-old and lives in McDonough, Georgia with his grandmother, Donna Armstrong and two younger brothers, Reginald and Donald. At the time when Ms. Armstrong became the children’s legal guardian 24 years ago she had been in a relationship and was getting ready to get married. "Rickey is very stubborn but very outgoing. 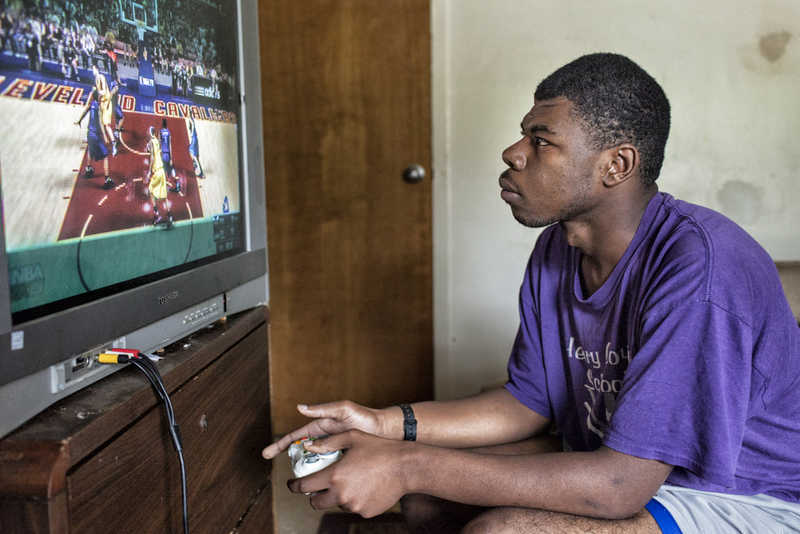 Although Rickey has cerebral palsy which has affected his speech and ability to learn things, he doesn’t let anything stop him. He’s not talkative but he meets no strangers. The first thing he is going to do is give you a hug and that big ole smile. He’s very helpful and he’s got a giving spirit." Rickey aged out of high school in 2012. In his last year of high school he participated in an innovative school-based job-training program. As a result, he transitioned out of high school with a job. Rickey is currently working three four-hour shifts per week at The Golden Corral. Working at The Golden Corral is a life-line for Rickey. At work he is part of a larger family and has the opportunity to interact with people from his community. The job experience has also been a big confidence booster. Although Rickey is a respectful and hardworking employee he is at risk at losing his job. "I’ve had trouble securing transportation for Rickey back and forth to work because I don’t own a car and there is no public transportation. That’s the hindrance. I have to rely on neighbors to get Rickey to work but people in the neighborhood have things to do. I just can’t secure nobody to be stable for those three days. I’m just trusting God for a miracle. He knows I need a car." Rickey and brother, Reginald, play basketball on the court behind their home. Donna has successfully raised three boys single handedly. She has survived breast cancer twice and has undergone brain surgery that impaired her short-term memory. Despite these challenges Ms. Armstrong has always been there for her grandsons. Rickey is in the process of applying for the Medicaid waiver. Waiver funding would pay for transportation to get him to work and supports so he can participate in recreational and enriching activities in his community.